← Can Gray Wolves Hybridize with Coyotes? 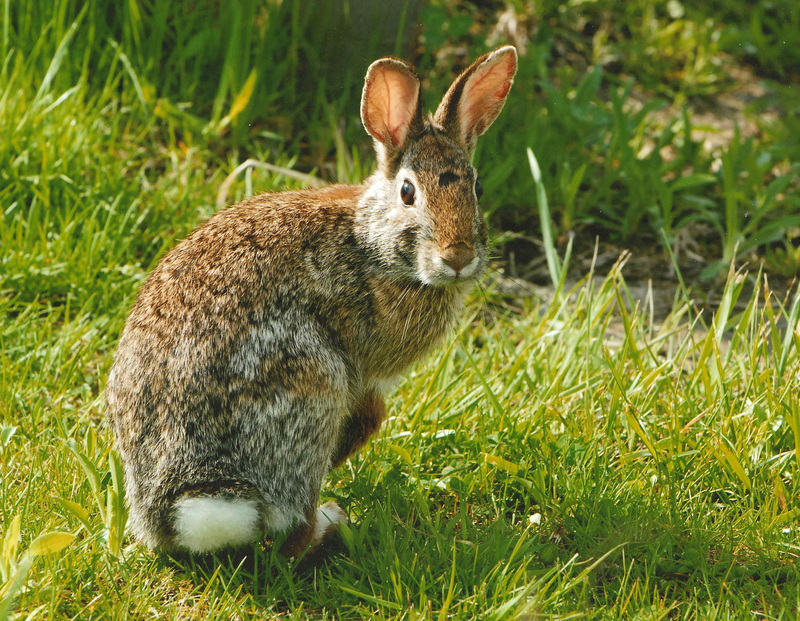 Answer: You may be referring to “tularemia,” a bacterial disease that wild rabbits occasionally carry. To be safe, hunters should take precautions by wearing latex gloves when field dressing their rabbits to minimize exposure to the disease. Be sure to properly cool the animal after field dressing it, and to always cook it thoroughly. Tularemia is named after the place where it was discovered – Tulare. Answer: Yes, it would be illegal. There is a prohibition in the regulations against wasting fish, and this prohibition applies to all fish, including carp (California Code of Regulations Title 14, section 1.87). The California Fish and Game Commission regulations do not have a designation for “game fish.” “Fish” as used in the regulations means any/all finfish and shellfish. Reasonable accommodations for hunter ed exam? Answer: In California we provide reasonable accommodations for all entitled students. Anyone with a disability can ask the DFG for reasonable accommodation and it will be provided on an individual basis taking into consideration that person’s specific needs. DFG Hunter Education Instructor (HEI) leader Lt. James Kasper recommends that the parent, guardian or mentor contact the the DFG before the course about requesting accommodations. 1. Get the hunter education manual in advance and work with a partner to complete the chapter reviews at the end of the book. 2. In addition to the manual, get the hunter education workbook and answer the questions. Both the manual and the workbook can be obtained ahead of time by contacting the HEI who will be teaching the course, or from a local DFG office. 3. Go to any of the DFG-approved home study online courses and study the material on their websites. The websites are http://www.hunter-ed.com/california/ or http://www.huntercourse.com/usa/california/ or www.ihea.com/hunter-education/online-courses.php. Lt. Kasper recommends these websites for a couple of reasons. First, the Today’s Hunter in California (www.hunter-ed.com/ca/) website belongs to the same company that makes the hunter education manuals we use in California, so the material is very similar. This site has California-specific information, good animations and they will be adding video in the near future. Second, HunterCourse.com (www.huntercourse.com/usa/california/) is a great website, especially for students without strong reading skills, because it incorporates more visual learning tools. The Today’s Hunter and Huntercourse.com websites both have additional audio narration functions. On a side note, these websites do not charge for using them unless the person wants to print out a voucher. Therefore, don’t get scared away when it looks like a pay website. Lt. Kasper recommends using these websites for studying. A voucher is not needed for a traditional hunter education course. For additional questions on what reasonable accommodations may be available, please contact DFG Reasonable Accommodation Coordinator Tina Johnson at (916) 651-1214. Limit on number of crab traps to fish? Answer: When fishing from a private boat, there are no limits on the numbers of traps a person can fish. Keep in mind though that you will also have to be able to manage and service each trap you deploy. And if fishing for Dungeness crabs, each person may only keep 10 crabs. On a good day you might get that many crabs in one trap. You’d still need to check all of the other traps regularly. This entry was posted in crabs, Disposal, Freshwater Fishing, Hunting, Uncategorized and tagged crustaceans, disease, freshwater fishing, hunter ed, ocean fishing, regulations, small game. Bookmark the permalink. Regarding cottontails, my understanding is that a rabbit with tularemia will have white striations on its liver. I also keep an eye out for tapeworm cysts, which are easily removed because they just sort of float around in the abdominal cavity – they look like a grain of white rice in a clear, gelatinous bubble.